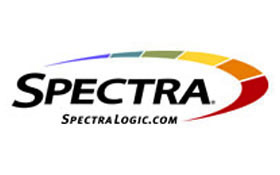 In this session, attendees will receive a high level overview of the Spectra Logic nTier Verde disk product. Learn how Verde is the simple, affordable and reliable file system you’ve been looking for, while receiving a thorough onsite demonstration by storage industry veteran, Jim McKinley. See how this media and entertainment company is using Verde to make their archiving process more efficient. Jim McKinley has been in the technology and storage industry helping customers for over 25 years. Prior to his career in technology, he spent 8 years in the Marine Corps developing the proper philosophies, attitudes and actions to get the best results in all he does. He applies the disciplines he developed in the Corps to coach and mentor his sales team to focus on delivering competence, developing credibility and creating value for every customer they interact with. He believes that the customer always comes first and taking care of their needs should always be the highest priority. He currently serves as the VP of Sales Development and Emerging Product Sales at Spectra Logic where is has been for 11 years. His responsibilities include managing, training and mentoring an inside sales team and leading product launches for emerging disk products worldwide. 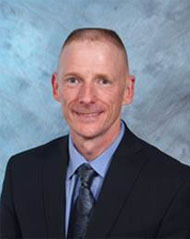 Jim has served in several sales management, development and training roles with various companies since 1989 with a focus on mastering methodologies for sales success. He is driven by a desire to share with others, empowering them to grow themselves and increase their relevance and effectiveness in the marketplace so they can best serve their customers. He mentors, coaches and trains sales professionals to become more effective at managing their time, positioning their products, managing the sales cycle and providing legendary customer service! He holds a BS in Information Technology. *Food and Drinks before the meeting, then off to the Richmond Rogue for social networking after the meeting. Members are required to Login to register for this event. Not a member? Join StudioSysAdmins or RSVP by E-MAIL today.